Like many Veronica Roth fans, I had the final novel in the Divergent series ordered way in advance, reading to sync to my Kindle as soon as it released. I was hoping to love it as much as I loved the original book, and to wipe away my dislike of Insurgent. 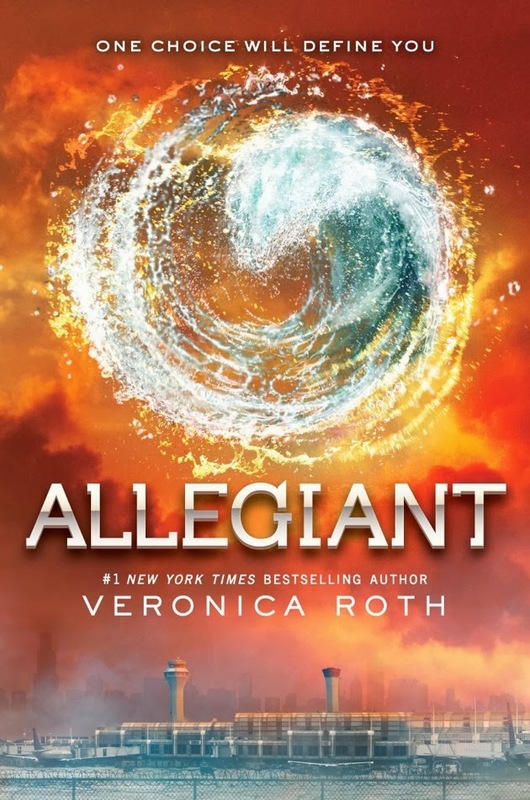 I leave the series satisfied with the ending and eager to discuss with my friends and students who are reading Allegiant as well. This is a sad novel, with our characters facing many devastating losses. Roth chose to write Allegiant from the perspectives of both Tris and Tobias, which kept the story moving and taught us more about the mysterious Four. Despite the tragedies (which are major and shocking), there is hope, which will be useful to young readers. Referring to bravery, Roth writes, "Sometimes it is nothing more than gritting your teeth through the pain, and the work of every day, the slow walk toward a better life. That is the sort of bravery I must have now." This is a quote that can give solace to a reader who is having a hard time, whether it is in her personal life, or in dealing with the heartbreaking ending of a beloved series. I leave Allegiant and the rest of the series with a smile. Veronica Roth did right by her faithful readers and I am eager to read what she publishes next.